With the pressure of this being their first album without Zayn Malik and the last album before their break, One Direction’s Made in the A.M. was expected to succeed. And it does. Even without Malik’s smooth voice and high notes, the band does surprisingly well without him. As the album date came closer, One Direction released many singles from the album to show what they had, and I will admit, they are all fantastic. In listening to the songs on this album, I do not hear any songs I dislike. They are all pretty solid. Their breakout single, “Drag Me Down”, the first as a four-piece, actually isn’t the lead song on the album. “Hey Angel” starts it out, a hit with catchy lyrics and ‘Ooh-ooh’s’ in the background. “Drag Me Down” follows up, which then leads into “Perfect”, their latest single supposedly inspired by Taylor Swift, and then into “Infinity”, another song released prior. “Never Enough” has this 80’s vibe to it, with a good beat and no hesitation to scream part of the lyrics at some points. “What a Feeling” also has some 80’s aspects, and is something to dance to. “Olivia” is a clever song, as the lyrics morph from “I love you” into the name “Olivia”, which is most likely where the name came from. There are only a few ballads on this album, but “I Want To Write You a Song” sticks out like a sore thumb. It reminds me of “I Want To Hold Your Hand” by the Beatles, and the song is just as beautiful. The whole album flows together well with the different array of songs. The best part of this album is that each member has a good amount of solos. Whether or not it is because of Malik’s absence, it reflects a change from their previous albums. It is nice to hear more of Louis Tomlinson and Niall Horan’s vocals rather than the ‘main’ singers, Liam Payne and Harry Styles (and previously, Malik). The entirety of the album has a sense of nostalgia as well. Songs like “History” show that the band has had a lot happen in the past five years, but it’s upbeat and reminds fans of the best memories. This album also has a good majority of the band writing the material. The Tomlinson/Payne writing duo has hit the nail right on the head again. They have come a long way since their first album, Up All Night, where they had only helped write a few tracks. 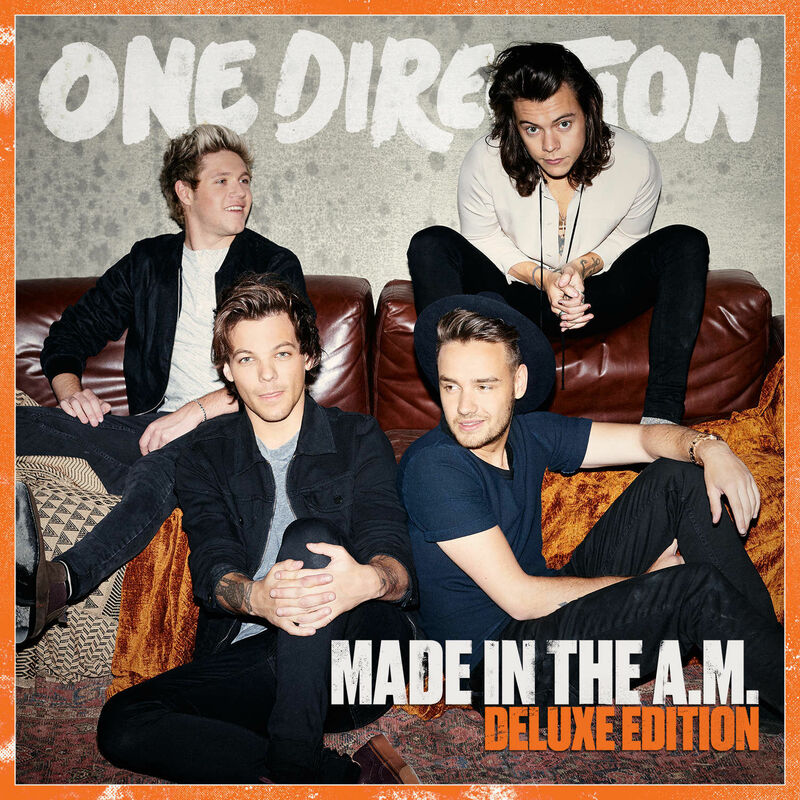 Made in the A.M. has it all. Love, heartbreak, growing up, solid vocals, and fun. This is a great album that really showcases what the band has done in the past five years and will send them off to their break in fashion.